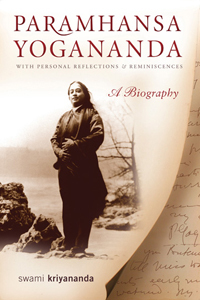 Discover Yogananda Through His Out-of-Print Works. Includes a free 101-page PDF collection. Has SRF Lost Its Way? Why has SRF removed so many examples of Master’s engaging sense of humor—both from his writings and from his recorded talks? I wonder whether their editors have not deliberately tried to make him seem magnificently dignified—to the point of pomposity! I give you here one example of ways they have tried to “sanitize” him. When the recording of that verbal exchange was released to the public, the last sentence had been removed. I suppose it was feared that some people might consider it egotistical. For me, such hypersensitivity is hard to believe! If robust humor has no place in saintliness, I think there may exist another heaven from the one I fondly imagine. 3. Three Scotchmen went to church. When the collection plate approached the row in which they were seated, one of the men fainted and the other two carried him out! 4. Those last two jokes had probably been told to him by Harry Lauder, a Scottish singer and composer whom Master went to visit in Scotland on his way to India in 1935. The very fact that he took the trouble to visit Harry Lauder says much regarding the pleasure he himself took in good humor. d) The only time I was with Master and Tara together—just the three of us—he told us a comical story of how, at his Ranchi school, he had once caught three dogs that had been chasing the horses and generally making a nuisance of themselves. I think Master said they were greyhounds—fast runners, in any case. Master, when he was young, was himself a very fast runner. On this occasion, pursuing those dogs, he had caught each one of them in turn, put it into a gunny sack, and later had the sacks removed to a safe distance before their contents were released. Master, in telling this story, was laughing so hard that I had (I must confess) some difficulty in understanding everything he said. Nevertheless, the exuberance of his recital was so infectious that I, too, was laughing in sheer delight. Tara, by contrast, gazed impersonally into the middle distance throughout this recital. Not once did she laugh, chuckle, or even smile. Indeed, her only reaction was to state with distant politeness, “Well, well! Fancy that!” The humor of the story, and Master’s energy in telling it, seemed to be leaving her completely untouched. Indeed, I am not really sure Tara even had a sense of humor—at least, of kindly humor. On the occasions when I did hear her laugh, it seems to me, in retrospect, that it was always at someone else’s expense. e) Tara was in many ways a genius. However, she gave some evidence of the madness to which genius has often been closely related. One time, I’d heard, she had predicted that Disneyland would be a financial failure. Tara practiced astrology (contrary, as I wrote earlier, to Master’s advice), and was convinced that, because Disneyland had opened on the dying moon, the whole enterprise would end in disaster. Some years after Disneyland had become one of the great financial success stories in history, I asked her whether she had actually made that prediction. To her, Disneyland was a failure already, because she had so decreed it. 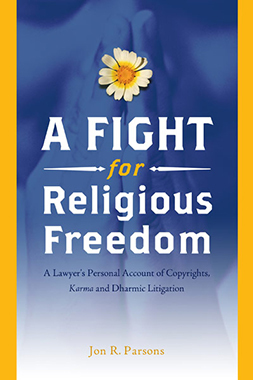 Order a copy of the printed book. Read the book in your native language (Instrucciones para leer el libro en español). 5. How Were the Changes Possible? 6. Was Yogananda the Last of the Gurus? 17. How Much Respect Did Master’s Chief Editor Have for His Judgment? New — Download a free 101-page collection of Yogananda’s out-of-print writings. Includes selections from The Second Coming of Christ, articles from early magazines, questions and answers, poetry, Bible and Gita commentaries, miscellaneous articles, letters from Europe and India during his 1935 trip, photos, etc. For 45 years the Living Wisdom Schools have brought Paramhansa Yogananda’s educational ideals to glorious fruition, nurturing happy children who excel in school and life. Click the cover images for complete information. You can read the chapters online, download a free PDF, or purchase a copy on Amazon. 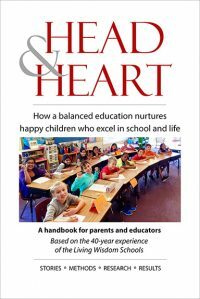 Head & Heart tells the inside story of the Living Wisdom School in Palo Alto, California, through conversations with the teachers, inspiring stories, and support from science. 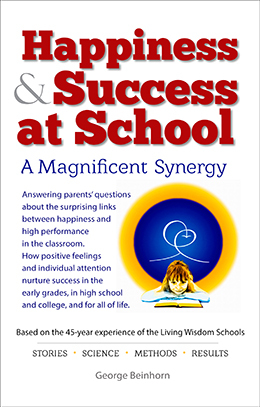 Happiness & Success at School presents a superabundance of evidence for the effectiveness of an “Education for Life” as advocated by Paramhansa Yogananda, with findings from Harvard, Stanford, MIT, the science of emotions, social science, championship sports teams, the military, and the Living Wisdom Schools. In all fields including education, happiness and success go hand in hand!